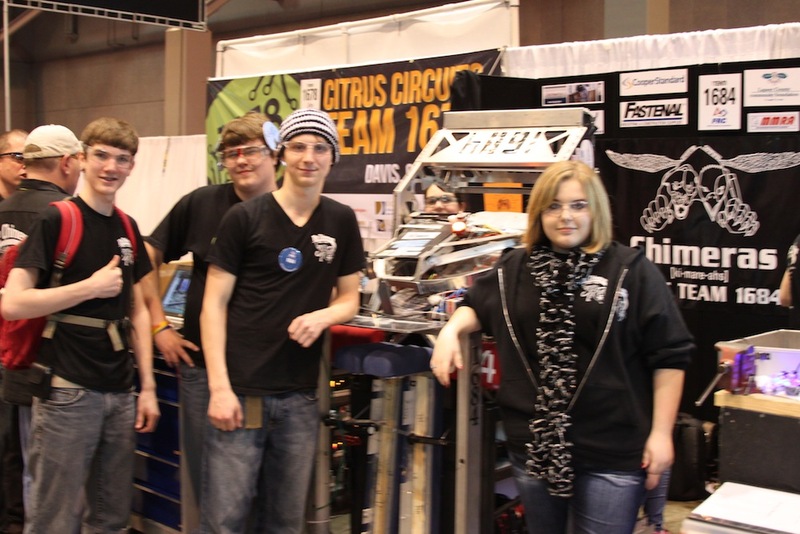 Members of the Lapeer Chimeras 1684 Robotics team at the FIRST Competition in St. Louis. 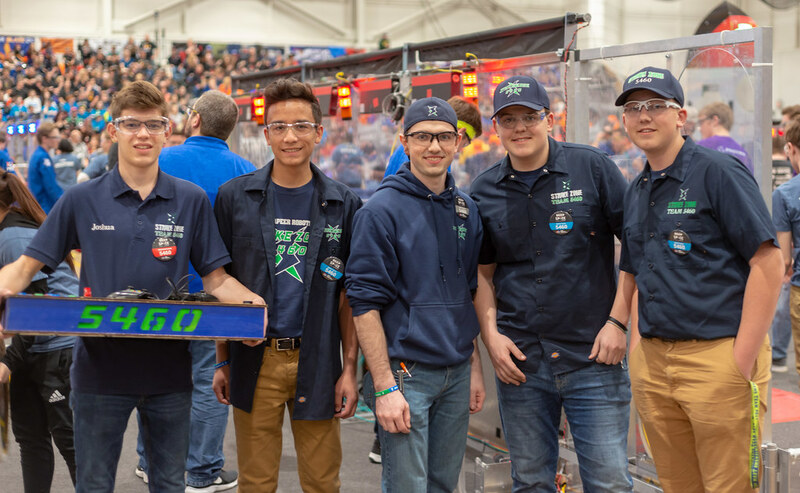 Lapeer Robotics coach Tony Diodato said Wednesday he’s still exhausted after his team’s whirlwind trip to St. Louis last week for the FIRST Robotics Competition; but, it was worth every mile of highway and minute of lost sleep. “I think the students are sufficiently inspired and motivated,” Diodato said of the Chimeras, a cooperative team of students from East and West High Schools. There’s no rest for the weary, however, as Diodato and company begin the process of working on their own space this week at the Old Durakon plant in Lapeer. The space was donated by Advance Lapeer, Inc. and will help the team build on their momentum. Troy Willmer, a senior at Lapeer East, was a little overwhelmed by the experience in St. Louis. April 24: We traveled to St. Louis and arrived as the pits opened at 4 p.m. We set up our space for working on the robot, did a few quick tests and had the robot inspected for competition. Our team joined 99 others in the Curie Division (all four divisions are named for famous scientists – Newton, Archimedes, Galileo and Marie Curie). 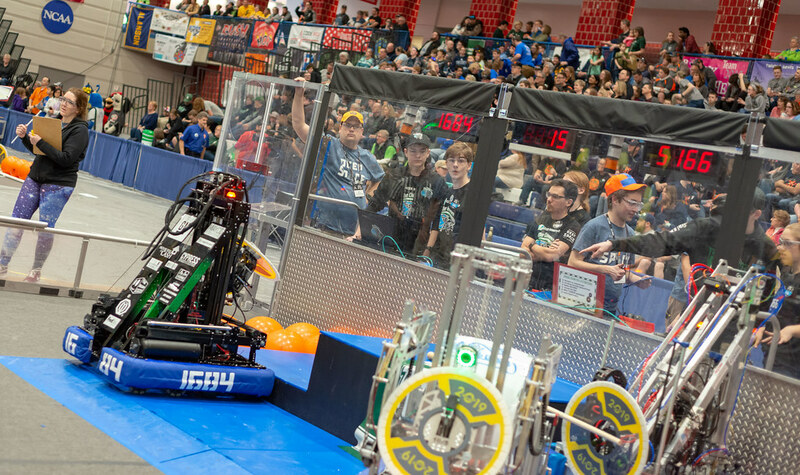 A total of 400 teams from around the world competed. April 25: We ran the robot in a few practice matches to calibrate it. Qualification matches started at 1 p.m. – we lost the first two but won our last one at 5:30 p.m. We went to Buffalo Wild Wings for dinner near the hotel. April 27: We won our final qualification match ranking us #31 out of 100 teams. We were selected to join the 5th seeded alliance for the elimination rounds (the division playoffs). So we now inherited the rank of the alliance captain, 5th out of 100. We won our first Quarterfinal match but lost the next two thus eliminating us from going on to the semifinals (not bad for the team since it was our first time at the World Championships). Since no lower ranked alliance moved on, we maintained our 5th place standing in our division. The four winners of each division moved on to battle on the World Championship Field – Einstein. two of the four alliances contained teams from Michigan. 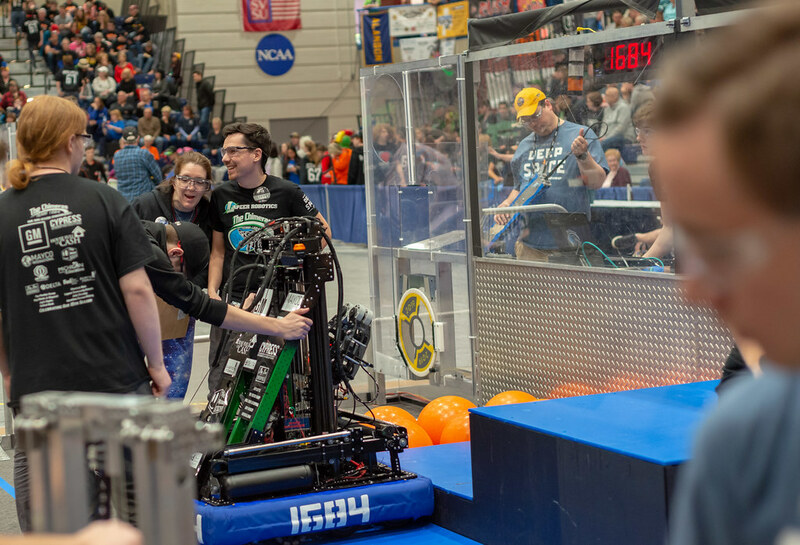 The final two alliances were the winners of the Archimedes Division – Killer Bees (Auburn Hills, MI), Las Guerillas (Bloomfield Hills, MI), and Mechanical Mayhem (Milford, NH). Against the winners of the Galileo Division – Theory6 (Mississauga, ONT), The Coyotes (Toronto,ONT), and Texas Torque (The Woodlands, TX). The Canadian/Texas alliance won. April 28: We traveled back to Lapeer.